Home › History › Special Collections Hosts Culper Spy Day Event! Special Collections Hosts Culper Spy Day Event! 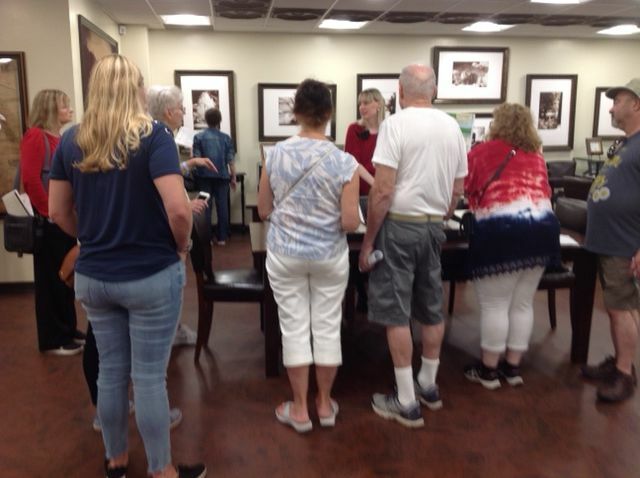 Culper Spy Day visitors viewing two original George Washington letters in Special Collections, SBU Libraries on September 15, 2018. More than 80 history enthusiasts visited Special Collections on Saturday, September 15 as part of the fourth annual Culper Spy Day. Personalized guided and interpretative tours were hosted to showcase Stony Brook University’s two original George Washington spy letters written during the American Revolution. The Three Village area is full of hidden intrigue and evidence of how America’s first spy ring secretly provided Washington the information he needed to turn the tide of the American Revolution. Culper Spy Day is a collaboration of local historical and cultural organizations that host diverse events to tell the amazing history behind the ring. Activities throughout the greater New York area included tours, battle reenactments, colonial cooking demonstrations, musical performances, crafts and more.